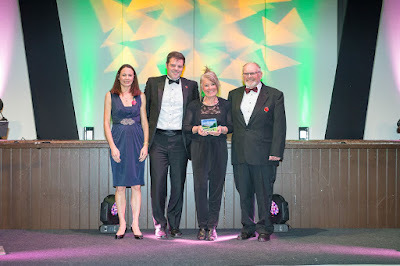 In 2015, Hele Valley Holiday Park was nominated and ultimately took away the Bronze award in the Holiday Park & Holiday Village of the year category at the Devon Tourism Awards. Earlier this year we were amazed to hear that we were shortlisted for the third year in a row, this time not just for one award, but two! The nominations were in both the Camping & Caravanning Park of the Year category, as well as the Holiday Park & Village of the Year category. We were invited along with Devon’s top businesses to attend the 7th annual Devon Tourism Awards held on Thursday 10th November in the Great Hall of the University of Exeter. Hosted by Judi Spiers and with special guest Jo Pavey, throughout the evening the awards were presented to winners in categories as diverse as Spa & Wellbeing, Hotels, Restaurants, Pubs and Attractions.